It’s late, encroaching on 1 am, and I’m sitting in the passenger seat of an Uber, heading back to school from the airport. Perfectly manicured hedges stream past and the streetlamps lining the highway put out a bright, reassuring glow. 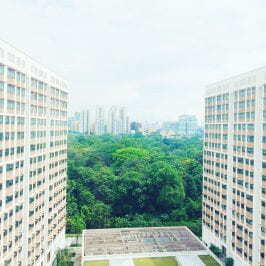 In my last post, I wrote that Singapore didn’t feel like home, that maybe it would never feel like home. It hits me though, as I watch the quiet, ordered city pass by me that what I feel now is a profound sense of belonging, of familiarity, comfort. It feels like home. And it’s funny that only through the process of leaving and coming back does someplace begin to feel like this. I’ve been to three different countries in the past month. By the end of my time here I’ll have been to eight, which is more than the number of places I’ve traveled to outside the U.S. in the previous twenty years of my life. I never felt like I was missing out by traveling so infrequently abroad before. International travel is expensive, unpredictable, complicated. This is all true. But I think what I’ve learned in my time here is that it also breeds resilience and grit, independence and, surprisingly, an openness to vulnerability. At the very least, I learned not to drink the tap water in Cambodia, an experience that ended with me clutching a bag of my own vomit in a hostel and praying that the last thing I saw wouldn’t be the underside of wooden bunk bed. Okay, lesson learned. 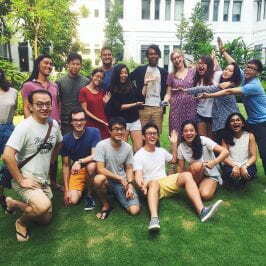 I’ve heard people say that to really experience what it’s like to study abroad, you have to stay for the whole year. That the first few months are for getting acquainted, learning how to navigate and find one’s place. That only after this is accomplished does one get to the goal of the experience in the first place: that of living. I feel a bit like this now. 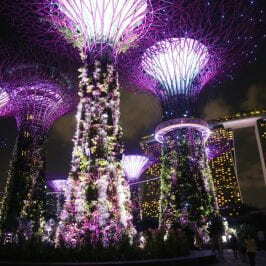 I’ve been here for just over two months and only now do I feel like I’m beginning to understand what it’s like to be in Singapore. Subtracting the time I’ll be away traveling, I have less than 30 days left on this island. I think I’ve finally gotten to the point where my experiences here are not simply comparisons to my life at Amherst or the U.S., but stand on their own, with their own merit. I don’t want to leave. Of course I want more time. I want more time to sit with friends in the beautiful wood-paneled dining halls here. More time to run screaming back from the bus stop in the pouring rain, as for the third time in one week, I am caught without an umbrella and entirely soaked through. To sit in a hawker center and order foods I can’t pronounce. To be made fun of for being unable to pronounce just about everything. I catch myself sitting on the bus, walking past the library on a busy afternoon, even just looking out my fifteenth floor window sometimes and feeling struck by the ephemerality of it all. Before I left Amherst, I was shown a graph meant to represent emotional reactions to new environments. It roughly resembled two mountains separated by a deep valley. The first peak represents the initial excitement of living in a new culture. If you go back and read my first post, it’s clear to see many of these initial highs. People drive on the opposite side of the road! Public buses have two stories! Everything is lush and green and verdant! The dip happened at about the time I wrote my second post, although if you go back, it might not seem apparent. At the time, I didn’t think writing about feeling upset or out-of-place or homesick would be interesting to read. In hindsight though, I am realizing that acknowledging the lows is just as important as celebrating the highs. I spent a lot of meals sitting alone in the dining hall, feeling very consciously out of place while everyone around me at with groups of friends. In class, I missed the nuances of jokes and sat in silence while everyone laughed. I have never missed bagels so much in my entire life. I think I’m on the upward slope of the second peak now. This is the phase called adjustment and adaptation. I think the excitement doesn’t come in bursts and jolts anymore, but as a quiet sort of happiness that settles over my day-to-day existence. It’s being invited out for drinks and sitting in the company of new friends. It’s getting on the bus and knowing which stop to get off at without a map. It’s a cool breeze coming through my window and the glow of the central business district in the distance. It’s sitting in the passenger seat of an Uber and finally, finally, feeling at home. P.S. A few photos from my travels in the past few weeks. 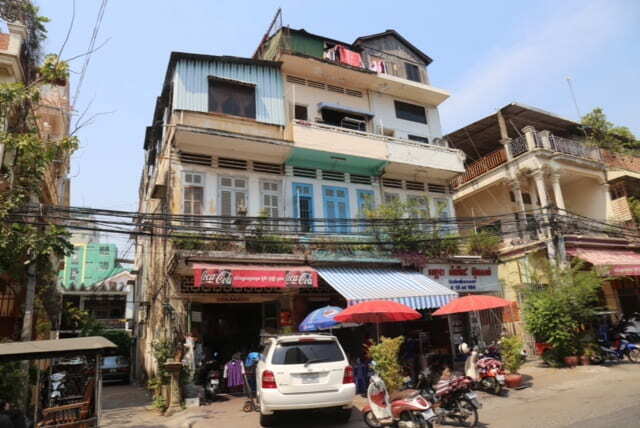 Typical shop houses in Phnomh Penh, Cambodia. Surprisingly, American-made SUVs were everywhere. A bit shocking for a country where the average GDP/capita is about $3,000 USD per year. Siem Reap, Cambodia: motorcycles are used for anything and everything. 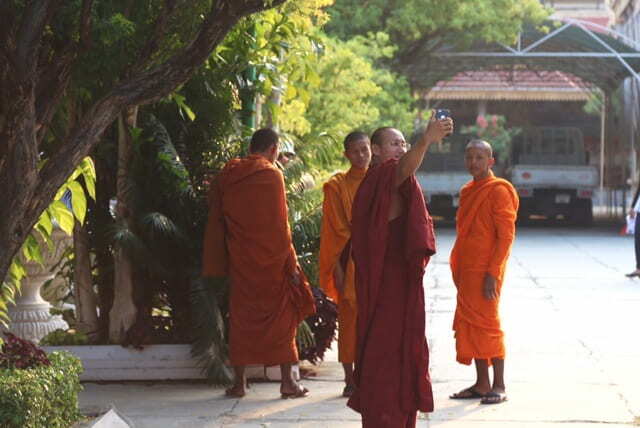 Technology is coming quickly to Cambodia’s monks. Photo: José van der Geest. On the grounds of the Royal Palace, modeled after Versailles. Thank you to Professor Courtright at Amherst who taught me about French landscape architecture and instilled in me a critical eye for architecture around the world. A hot air balloon rises over Ankor Wat. The famous “Raiders of the Lost Ark” temple in the Ankor complex. I have conveniently cropped out a few dozen Chinese tourists. Thailand’s King, the longest reigning modern monarch in the world passed away last year. Thais are still very much in mourning and portraits of his Highness can be found on most surfaces in Bangkok. Thais lining up to pay respects to the late King, contrasted with tourists on the right at the Royal Palace in Bangkok. Navigating the klongs (canals) in Bangkok via boat, complete with raised tarps to protect from the polluted water and spray. Multi-level houses along the klong. Promotional banners are recycled and utilized as housing material for waterproofing. Visiting Batu Caves in Malaysia, a sacred Hindu site but mostly a tourist attraction. Once exploited to harvest bat guano for fertilizer, many caves are now protected and those not developed into religious sites can be accessed via educational tours. The interior of the caves, complete with multicolored lights, life-size plaster figures and painted dioramas depicting the life of Rama.